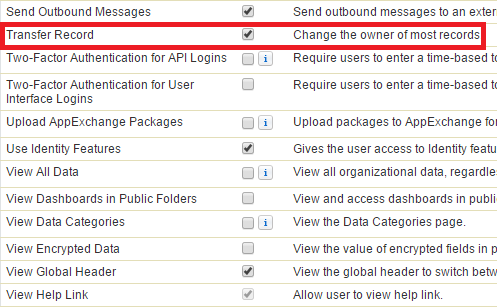 If you face Change Ownership causing Insufficient privileges issue in Salesforce, check whether Transfer Records permission is enabled for the profile. 1. Go to Setup --> Administer --> Manage Users --> Profiles. 4. Check whether Transfer Records permission is enabled for the profile.